Have some left over idlis? 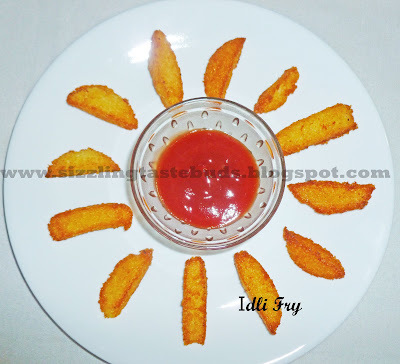 Why not try yummy and crisy Idli Fry. Yes, I usually do this the next day when I have some left over Idli's. I was introduced to this dish by my Granny during my childhood days. And now I started preparing this more often when my son started going to school. Its a perfect lunch box snack for my son. He just loves it and I love to see the empty tiffin box back home. If you are health conscious then just spray some cooking oil over the idlis and put it in your oven. I didn't try this but one of friend has given it a try. So no issues with that. So here's the simple, crispy and tasty recipe...IDLI FRY. Left over idlis cut into any shapes. In case you want to know Idli or Mini Idli recipe, click on the link. 1. Cut idlis in any desired shape. 2. Deep fry the idli pieces till golden brown. In case of Mini Idli's , no need to cut the idli's. Fry them directly. 3. Serve with Tomato ketchup. 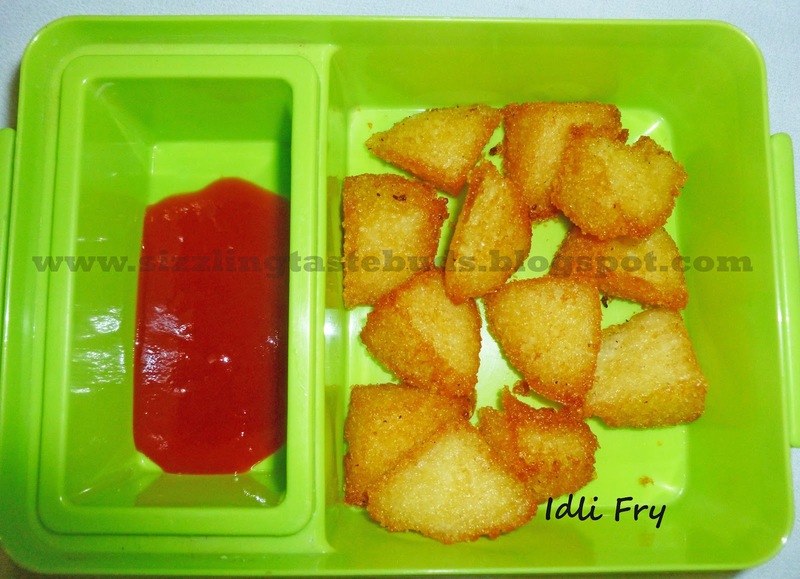 This is a perfect snack for kids who doesnot like idlis or you can serve this as an evening snack with tea/coffee. Try this and let me know how it tasted. Also try other Breakfast Recipes. Hi there, You have done а fantаѕtіc job. enjoyed reaԁing it, you arе a great author. I wіll remеmber tο bookmark your blog and may come back in the futurе. Thanks a lot for dropping by and hope to see you soon again.